May the4th be with you! Happy May the 4th day, everybody! And to spark some creativity fro the galaxy long, long ago – I give you the wooden peg dolls play set, inspired by Filth Wizadry. I’ve added some starships (out of spray-painted boxes glued together) and some planets (quilt blankets that for a galaxy)… and I am sure there is much more to be added. Five it a try or as Master Yoga would say: Do or do not, there is no try! 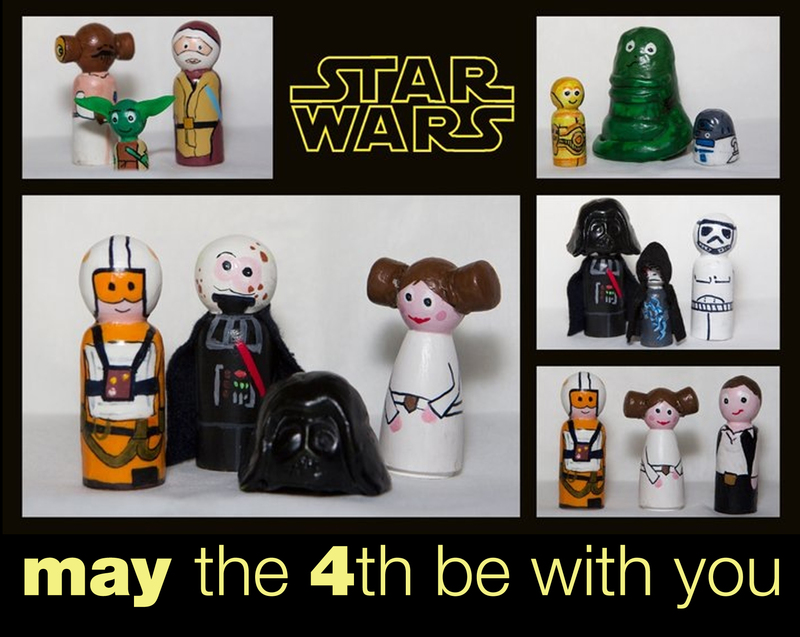 This entry was posted in Art Projects and tagged ArTree, kids, may the 4th, project, star wars. Bookmark the permalink.